Great breed. Affectionate and sweet - but only if you are above them in rank. 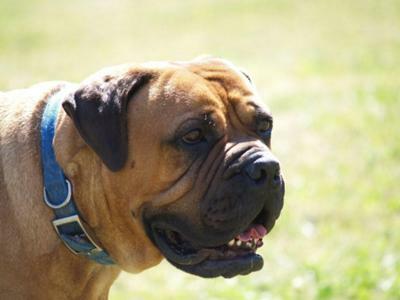 The trainability section of this site is right on - you must heed this information if you want to own a Bullmastiff. They are a dominant breed. This is of prime consideration when owning this breed - especially if you have children, or cannot act like an alpha. In our experience, males are not good with other male dogs (neuter early! )and females not good with other females. It's not that they won't get along - it's just that there is always a bit of tension and they must be monitored when together. And always buy from a reputable breeder that will give you advice and support once you bring the puppy home. 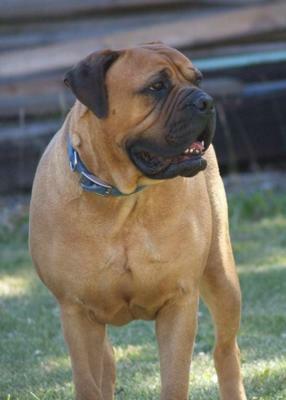 Our Bullmastiff is from Garroway Kennel in Prince George, BC. Sylvia is an excellent breeder and is very supportive. When you factor in dominance issues, train them well and socialize them even more - then you will have a wonderful pet! This site describes them very well and is a good resource.